Often when we talk about the use of technology by insurers, we’re looking at the solutions that can help them mitigate risk, more accurately predict risk for pricing policies and better engage with their policy holders and customers. But there is another area where new technologies could solve a major challenge impacting insurance companies – fighting insurance fraud. Insurance fraud can take multiple forms – it can be as simple and seemingly harmless as someone lying about where they park their car. It can also be as serious as someone making fraudulent claims submissions. Regardless of the form that fraud takes, it’s a thief that ultimately impacts an insurance company’s bottom line. What’s really interesting is the role and impact of technology on fraud. As we stated, technology can help to fight fraud by shedding light on and identifying fraudulent activities. But it’s also helping some fraudsters to perpetuate fraud in the first place. To learn more about the impact that technology is having on insurance fraud, the cost of fraud for insurers and the adoption of new fraud fighting technologies, we sat down with Lisa Volmar, the Senior Director of Product Development for Insurance at TransUnion. Insurance Tech Insider (ITI): You recently contributed an article to Property & Casualty 360 about car insurance fraud where you discussed two different types of fraud – soft fraud and digital fraud. Can you define soft fraud? How big of a problem is soft fraud to auto insurers? Is this a new problem, or a problem that has existed for a long time? Ms. Volmar: Soft fraud is definitely not new to the auto insurance space. It is the act of a consumer providing or verifying outdated or incomplete information to the carrier. More specifically, it often takes the form of rate evasion when policyholders don’t accurately report vehicles in higher rated territories, undisclosed drivers/habitual borrowers, out of state violations, understated mileage or small claims padding. It can happen from any channel – from agents, call centers, or online. Also, on average 12-15 percent of all auto policies show signs of significant territorial rate evasion, and 25-35 percent of all policies likely have an undisclosed driver or habitual borrower, which creates leakage issues for carriers. ITI: The other type of fraud that you mentioned was digital fraud. You cited a study from the Coalition Against Insurance Fraud that showed that 61 percent of auto insurance companies reported that fraudulent claims have increased significantly in the past three years. What kinds of fraud fall into this category? Can you provide examples? How do some of today’s digital insurance tools open the door to this kind of fraud? Fraudulent providers who are submitting consumer claims in order to submit high volumes of fake or padded bills against those claims. Online account management takeover to change a person’s address before claims or premium return checks are sent to them. Fake and high volumes of new online policies which are subsequently used to stage accidents or other types of fraudulent claims. Today, as an industry, insurance carriers are doing very little early in the policy lifecycle to address signs of fraud or potential fraud. In 2017, we conducted a survey of Insurance executives; 57 percent confirmed that they had no point of sale fraud tools to support growing online and mobile channels, and 18 percent were uncertain whether they did. Much of the industry does very little or nothing in the way of verification early on in these faceless channels. They may refer a few policies to underwriting for manual review, and then place the burden on the claims department to investigate suspicious claims and weed out the fraudulent ones. Carriers have new risks and there are new tools available to combat individuals attempting to bind new policies and access existing consumers’ accounts via these channels. The latest online fraud tools are being ported over from global use by the financial services industry, and are showing great promise in helping deter these online schemes, while ‘green-lighting’ those verified customers who are looking for a smooth, unencumbered, and technology-assisted experienced from their prospective or chosen carrier. Digital fraud tools now have multiple ways to identify the connected devices, locations and patterns which have been linking to fraudulent or suspicious claims and then flagging those for follow-up by investigators. These same tools can look for synthetic identities and fraudsters, so that carriers are only prefilling information for verified consumers. And they can also be used to also slow down or stop much of the site scraping or rate testing by competitors. ITI: It sounds as if technology is playing a role in enabling fraud, but it’s also helping to fight it. In what way can Big Data and data analytics help insurance companies battle fraud? Ms. Volmar: With recent enhancements concerning Big Data we are now able to identify new policy applications that are either highly suspicious, are attempting to perpetrate rate evasion, or are likely associated with organized fraud, and then let carriers take the steps to verify the information or keep these policies from ever being bound. This is a highly cost-effective method to combat fraud, and reduce the time and expense fighting the associated claims after they are filed. Utilizing Big Data, we have moved from flagging a dozen or so mismatched or invalid flags on double digit percent of applications to applying third-generation analytics that use hundreds of variables. These new models let carriers rapidly verify individuals including their digital identity when applicable and process 95+ percent of applications – regardless of the channel – quickly to bind with more accurate quotes. Carriers’ agents or call centers are only verifying information on a small percentage of quotes, and fraudsters are kept off the books. ITI: You mentioned social media in your article. How can social media and social networks be used in the battle against fraud? What types of technologies are making it possible for insurance companies to parse through the sea of unstructured data in social networks to make them useful fraud fighting tools? Ms. Volmar: Text and data mining, linking technologies, and data visualization tools are helping carriers and their vendor partners produce meaningful information that targets claims and links that they need to pursue for investigation. ITI: In your opinion, how big of a problem is fraud for insurance companies? Does it have enough of a financial impact on their bottom-lines to justify the investment in technologies to fight it? Is the ROI there for investing in this? Ms. Volmar: Yes. Insurance fraud overall has recently been reported by the FBI to be the second largest criminal enterprise behind narcotics trafficking. The Coalition Against Insurance Fraud (CAIF) last estimated all insurance fraud at $80 billion annually. If we look at the numbers provided by FBI, the total cost of insurance fraud (non-health insurance) is estimated to be more than $40 billion per year. That means insurance fraud costs the average U.S. family between $400 and $700 per year in the form of increased premiums. Based on years of carrier studies, the ROI for our fraud solutions is in the range of 6-10: 1. For carriers that also actively use the information to aggressively address territorial rate evasion and undisclosed drivers which is estimated at $2B in leakage, the ROI can reach 20:1. 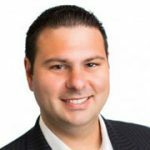 ITI: How much adoption are these technologies seeing across the insurance marketplace? Do you anticipate this adoption level increasing in the near future? Why or why not? Ms. Volmar: According to the CAIF’s latest survey, nearly 75 percent of insurers have fully integrated technology into their anti-fraud systems, with more than half using predictive modeling. And that number is absolutely going to increase. Based on our direct surveys and engagement level with carriers, we see an increasing number of carriers that are using technology, data and analytics to fight fraud, and they are budgeting for increased use across the policy lifecycle to address fraud risk. In addition, the CAIF survey reported that one third of carriers expect their IT budgets to increase in 2017. In addition, 22 states plus Washington D.C. have mandated that carriers implement anti-fraud programs. 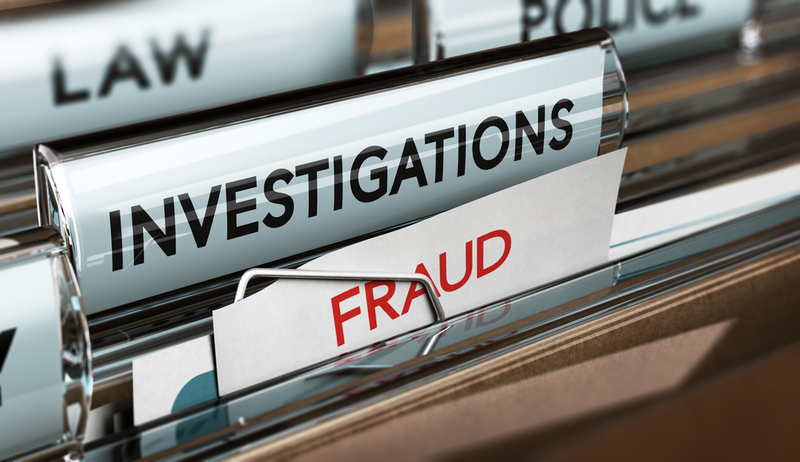 ITI: How is TransUnion helping insurance companies battle fraud? Ms. Volmar: TransUnion has a decade of experience building anti-fraud solutions specifically for P&C carriers to use at point of sale. Since that time, we have developed predictive models that are very robust and work across the policy lifecycle, on all types of personal auto policies, markets, and channels. We have leveraged our proven experience and tools used to fight fraud in financial services and e-commerce to bring those latest development in identity and digital verification to the insurance market.